No matter how talented an artist I am, or how much God chooses to use me creatively in the Kingdom, at the end of the day it boils down to one thing. Am I walking in Love? Recently in my own journey I have found the Father calling me to a deeper walk of Love. He’s been challenging me to make love my reflex, not just an afterthought. It is easy to talk about love but when it comes down to it, I have to be honest – it’s something the Father has to work in me. It is not my natural reaction. If you’re an artist I would venture to say you probably deal with this same challenge. Over the years, one of the primary challenges I have faced in my love walk comes out of I Corinthians 13:4 where Paul says that Love is not “easily provoked.” Honestly, I have a tendency to be very easily provoked. If a situation arises and it’s something I care deeply about, or has the potential to shine a negative light on me then it’s on. I’ve recognized this pattern time and time again in my own life. Finally, I got the memo and began to ask the Holy Spirit for help! Recently, I’ve taken time to explore this phenomena with the Lord and found that at the core of my propensity to be easily provoked is a desire to self- protect. Here’s how it happens. I have my life all planned out (of course there are no perfectionistic tendencies here) and then some situation or well-meaning person comes along, and in my opinion, screws things up. It could be as simple as changing a date or a time for an event, challenging my reasoning for a decision, or calling into question my motives. These sort of questions cut deep to the core of my being and my natural reaction is to come out with a Braveheart-esque vigor to defend what is mine. Phrases like “it’s not fair” or “that will make me look bad” are often at the core of my anger, revealing a not-so-righteous indignation and delusional feelings of self-importance. Consequently, it set me up for many a heated battle that often ends in strained personal and public relationships. As I’ve embarked on this intentional journey of Love, the Father started showing me that my desire to self-protect and defend myself so vigorously was rooted in my lack of trust in Him as my protector. That was hard to swallow at first but upon deeper examination was found to be absolutely true. n my own self, I am much more comfortable in taking the sword and “cutting off the ear” of anyone who comes against me rather than allowing my Father to be my defender. This propensity comes from the patterns that I learned growing up in a very emotionally dysfunctional household. I learned to believe that unless I protected myself, no one else would. Consequently, control, perfectionism and rigid image control was the name of the game. A life based on lies produces fear, not love. The truth about Love is that the Father never asked me to defend myself. He declares in His Word that He is my defender, my rock, my fortress, my very present help in time of need. My challenge and yours is to, in that split second of time when we have the opportunity to choose a reaction to a provocative situation, to choose Christ. Through the power of the Holy Spirit the Father is leading each of us to a life of trusting Him. It’s like the lyrics to Desert Song that says, “All of my life, in every season you are still God. I have a reason to sing, I have a reason to worship.” No matter what’s going on in my life I can choose to trust Father and walk in love or pick up the sword and chop some ears. His desire for each of us is that we be free to completely love others and completely trust Him for the details. As for me, I’m learning to put down my sword. 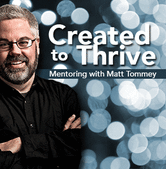 Matt Tommey is the Founder / Executive Director of The Worship Studio and a professional basketry artist. He is also a musician and author of the book “Unlocking the Heart of the Artist: Fulfilling Your Creative Calling as an Artist in the Kingdom”. You can see Matt’s basketry work at http://www.matttommey.com and purchase his book here.